Why would I need self storage in Old Hickory, TN? There are a variety of reasons why you might need self-storage in Old Hickory, TN. How much is a storage unit in Old Hickory, TN? The cheapest storage unit in Old Hickory, TN is $41.00 per month. What size storage units do you have available in Old Hickory, TN? In Old Hickory, TN we have sizes that range from 5'x5' to 20'x25' to suit your storage needs. How much is it for a 5'x5' storage unit in Old Hickory, TN? The cheapest 5'x5' storage unit in Old Hickory, TN is $41.00 per month. Old Hickory is a historical neighborhood of Nashville, home to a midsize population. It's best known for its historic district and its years as a DuPont company town. In addition to historical charm, the community boasts an affordable cost of living, expanding amenities and many entertainment options. Old Hickory has long been referred to as Nashville's best-kept secret. The community was named in honor of President Andrew Jackson, whose nickname was "Old Hickory." Originally, it was a company town, founded in January 1918. At the time, the world's largest gunpowder plant had just been opened along the Cumberland River. This development required the construction of 3,800 buildings and enough housing for 35,000 people. When World War I ended in November 1918, there was no longer a use for the Old Hickory community, and the area was a ghost town by 1920. Both the town and the plant were sold to DuPont Co. in 1923. In the 1940s, DuPont sold many of its homes to the families that had been renting them. Today, Old Hickory consists of thriving shops, historical homes, trendy coffee houses, walking trails and outdoor recreational facilities, all in the shadow of the DuPont plant that helped rejuvenate the community. Amenities are plentiful, and the community's close proximity to downtown Nashville puts plenty of shopping, dining and entertainment within easy reach. The historical Old Hickory Village is a highlight of the neighborhood, hosting many of the community's oldest homes. The houses are a mix of DuPont-constructed homes, with cozy bungalows that housed workers and larger houses that were given to managers. For many years, a number of the houses were abandoned and became severely dilapidated. However, recent revitalization efforts have brought new people to the community, who have remodeled and restored many of the historical properties. The village is especially scenic during the fall months, when its numerous trees display thousands of red, orange and yellow leaves. Old Hickory students are served by Metropolitan Nashville Public Schools. The Nashville area also boasts numerous private schools, including those with and without religious affiliation. Utilities: Old Hickory shares utility providers with much of the Nashville metro area, including Piedmont Natural Gas, Nashville Electric Service and Metro Water Services. Garbage and Recycling: Depending on where you live in Old Hickory, you may receive curbside collection services provided by Metro Public Works. Transportation: The Nashville MTA bus routes are the main public transit option in and around Old Hickory. Several neighborhoods in Old Hickory are quite diverse in terms of price range, so finding one that meets your budget shouldn't be a problem. Old Hickory Village is the oldest neighborhood within the community and comprises of historical homes ranging in size and price, but it's likely to cost you more to purchase a home in this area due to its historical attraction. You can also find newly-constructed homes in the area, as well as 1980s and 1990s brick houses on large lots. Our lowest priced units in Old Hickory, TN average $58.67 per month. 310 people have reserved units in Old Hickory, TN in the past 30 days. 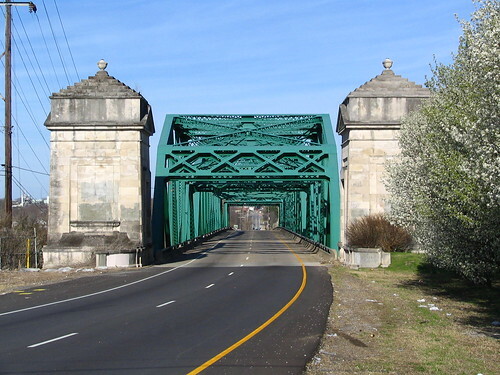 There are 6 locations within Old Hickory, TN's city limits. There are 3 locations in Old Hickory, TN that offer AC and Heating features.